Home › dieselgate › Dieselgate: Are dishonest dealerships cashing in on VW emissions “fix” EGR failures? Our article regarding the VAG group offering “good will” gestures to owners of broken vehicles post the emissions fix seems to have caused a bit of a stir out there on the internet. We’ve been inundated with desperate owners all suffering some form of mechanical failure after the fix, all looking for help and advise. 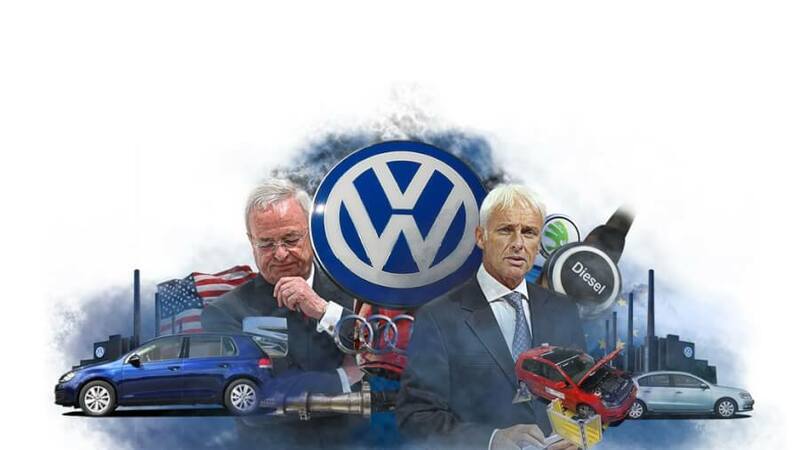 Their stories wreak of the same incompetence by the the VAG group (VW, Skoda, Seat and Audi) but yet we’re beginning to see a pattern that’s just as concerning as the #dieselgate scandal itself. In all cases we’ve advised owners to not accept bills for repairs post the emissions fix which has normally gone in their favour. What does seem alarming is the number of dealers seeming to “cash in” on these repairs by pocketing repair costs instead of passing these to their customers. The dealership came back to me and said “As a good-will gesture” VW would pay for the part and half the labour, which meant I would have to pay 342+vat. When I started asking why EGR failed at 30000 mile’.. and EGR failure is an on going issue he didn’t have an answer for me.The chap said to me i should speak VW customer services. i asked him for the number so he put me on hold for 5 minutes he then said to me ” my manager said we will sort it out for you at no cost” i believe that at first he thought i would be easily swayed and pay what they asked. However as the conversation progressed and I mentioned blogs/websites such as yours they then realised I had done my homework. It seems that as much as they try to deny it,they know there is an issue with the EGR whether pre or post Nox fix. At present I have opted not to have the fix done even though they were insisting as they claimed it was for “safety”…now that is definitely not what VW corporate says as they claim performance and safety are not affected!?! So which is which? I hope that all VW owners research the web for advice such as yours backed up by real life examples such as mine.Please keep up the good fight. Ahmad was very fortunate to have the EGR valve replaced at zero cost but one has to wonder why the dealer would was so willing to cover the £342+ VAT for labour. Had VW had already confirmed they will foot the entire bill anyway? Could dealerships be claiming VW (or Seat, Skoda and Audi) will only cover a proportion of the costs then take the customers monies to fill their greedy purses? We know of countless other owners who have been offer such “good will” deals previously but had to fork out for some additional costs. Some dealers have actually insisted that owners pay for a service “on the side”. Considering the disgusting way in which the VAG group and dealerships are handling this issue, I’d like to call our dealers on this one. I believe that they are ripping off customers and pocketing money which was offered to customers by “head office”. If this is the case then the dieselgate scandal is about to be taken to a whole new level. We’ve reached out to VW regarding this article and we’ll be sure to let you know what their thoughts are on the matter. I for one will continue to help the “good fight” against VW and help my fellow motorists get the results they quite rightly deserve. VW Emissions Fix Survey - The Results are in! Great work Karl, thanks for your support. I am the owner of an affected VW Tiguan and the Deiselgate scandal broke just 4 months after I’d purchased the car. I am not having ‘the fix’ done due to the overwhelming evidence of ‘post fix’ problems. I will really only be happy and possibly in the future VW MAY regain my trust, if we get the exact same deal as they’ve had in the U.S. Buyback and compensation! Thanks again for monitoring and reporting on this issue, I can’t believe that it’s not being reported on a more national level. No problem at all – just doing our bit. We’re very surprised too that it isn’t national news. I suspect that taking into account VW UK’s vast advertising budget and well funded lobby groups – it’ll stay swept under the carpet for a long while yet. I’ll continue to cover the topic and if you have any further information or news on the issue then please do let me know. Had the fix done to my Golf 2.0tdi, within an hour the engine management light came on along with the dpf light then it went into limp mode, I quickly returned it to the VW main dealer, the service manager did a diagnostic ( free of charge) ha, he quickly told me that the EGR valve has failed and this was unrelated to the update and he’d not herd of any issues related to the updae. I was given a courtesy car for the new year period, my car was ready on Jan 5th the service manager said they would make a good will gesture towards the cost I was left with a bill of £350 and he said I should take it up with VW, this has been an absolute nightmare dealing with the emissions service centre every week I am told my case is still being looked into. Only later did I do some research into EGR failures and found the VW emissions group on Facebook and found that hundreds of people have experienced the same problems as me. VW don’t seem to have a clear solution to this and are still denying that ther is any connection to the cheat update. If VW dealers are making goodwill gestures surely this must be some sort of admission that there is a problem. You’ll see that they are covering the full cost of the repair. I actually suspect that your dealer may well have already claimed the full amount and is simply stealing the money from you. If you’ve not collected the car I suggest you don’t until they offer the repair FOC. Please do your homework and feel free to point them in this direction. VW Group have been taking the Mickey out of society and its customers since WWII, yet no matter how badly the company behave people still queue up to buy their products. Why the sudden surprise now? why does the buyers willingness to overlook such behaviour suddenly cease only when it starts to cost them money? I put my Golf Estate 1.6 tdi into my local garage, not a dealership as the engine management light had come on. 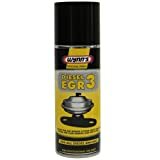 I was told the my EGR had failed and that my dealer couldn’t get any more as they had been recalled. He than told me that he had been told by the parts people that they had been recalled as they were incompatible with the emissions fix. He suggested that I contact the dealership who was doing the emissions fix within my area and ask would they fix this as part of the emissions procedure as it had been demonstrated that the old one wouldn’t have worked with the procedure anyway.The dealer Parkway Volkwagen Northampton say that the emissions fix was on computer based and that they would not replace the EGR as part of the fix. They also said that they couldn’t do the fix with a faulty EGR. If they know there is a problem then they, VW should be up front about it. I’m stuck with car that doesn’t work and a high repair bill for something that the company knows doesn’t work. I didn’t expect this from VW or their dealerships. My dealer thinks the whole thing is fishy. Firstly, count yourself lucky that you haven’t had the fix. 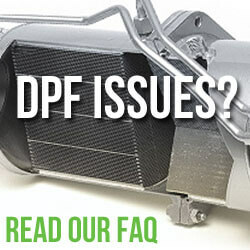 It will not only destroy the EGR valve but it will also shorten the life of the DPF drastically. VW won’t replace the unit for free – certainly if you’ve not had the fix yet. Unfortunately you’ve have to pay for it. They also don’t replace the unit as part of the update – In fact some people are charged upwards of £2000 for a replacement EGR after the fix has been applied. I had a letter to take my 1.6 TDI golf for update, I drove the car home a few miles and it was O.K later that day my Golf broke down at T junction a about one mile from my home. As it was after hours it was taken to my home the next I had it taken to the main dealer where the update was done at Stoke VW. 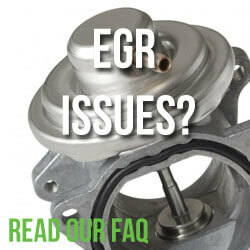 They analysed the fault and said it was a coincedence that the EGR had failed and said it was not due the fix and would cost about a £1000, it would take two days to obtain the part and fit it. It was fixed and cost £1098, since then the fan runs when the car does short journeys and the engine is switched off. My daughter has been in touch with the service manager but he has said that heis dealing with VW but he is going to try another tack. My son’s 1.6 caddy 2012 had its fix done and a few days later in the middle of nowhere it broke down. Road side sign up to RAC got it going and he was told it was the erg valve. Stopped again on the long journey home the RAC came out again. Rang VW garage who said it needed a diagnostic test which wouldn’t be charged if it was the fix that caused it. A tense 1.5 hour trip to the garage, a day off work, one diagnostic test….yes surprise surprise it was the ERG valve and it was a coincidence that it happened just after the fix.. £90 charged….. VW customer service is being called tomorrow but I don’t hold out much hope….VW told my son the part would be £900. My VW Tiguan engine management warning light is flashing. Car has had the VW software fix. Its done 30000 miles in 5 years. Contacted dealer unable to look at fault for 9 days! They said they would do a diagnostic test to identify problem, and the test only will cost me £125. Cost of rectification unknown? I am resident in Finland and have an Audi A3 2010 model. The car went through the ‘fix’ 18 months ago. This past week the ERG was diagnosed as needing replacement, it is currently in Laakkonen Tampere for repair, my cost will be 1600 Euro’s for the replacement. I will challenge the replacement costs based upon what I have read in your and various other blogs, when I go to pick up my car. Is there a place to register my complaint with Audi of VW about the costs and the lack of consideration to EU VW and Audi customers.